Huawei GR3 2017 Now Available Via Home Credit's 0% Program For 6 Months! 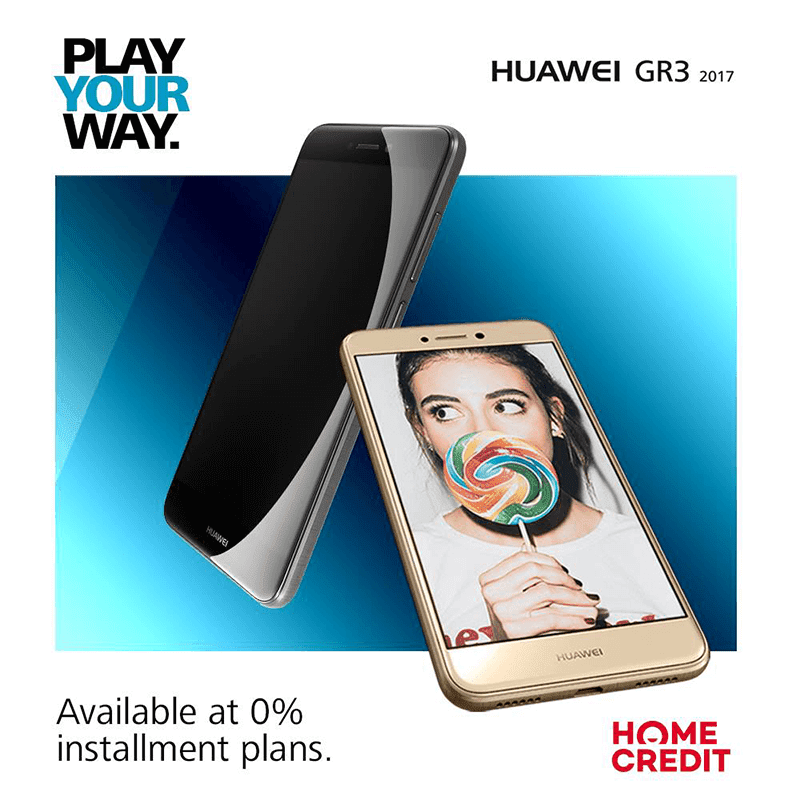 Home / huawei / mobile / news / Huawei GR3 2017 Now Available Via Home Credit's 0% Program For 6 Months! Aside from P10, Huawei has also made the GR3 2017 official at Home Credit. Interested buyers may avail the said device with 0% interested for 6 months. Related: Huawei GR3 2017 Review - Style Meets Performance And Affordability? As a quick recap, the Huawei GR3 2017 is arguably the best bang per buck phone for its price yet. This handset is equipped with gorgeous style, great specs, and decent nack and front cameras. It even has a rear facing fingerprint scanner for added security and boots with Android 7.0 Nougat OS w/ EMUI 5.0 skin. All of those midrange worthy features for just PHP 8,990. The monthly amount payable depends on your downpayment. Max installment period is 6 months.